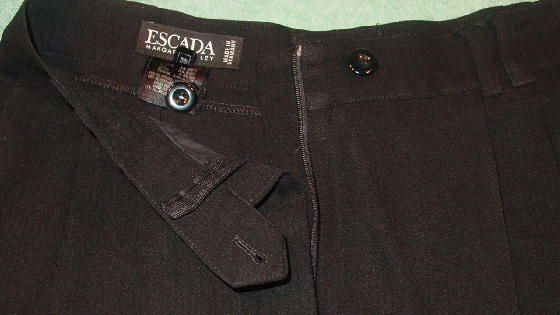 These black 49% rayon, 40% wool, and 11% nylon pants are Escada Margaretha Ley and were made in Germany. There is an 8" long zipper which goes all the way to the top of the waistband, which is 1 5/8" wide. 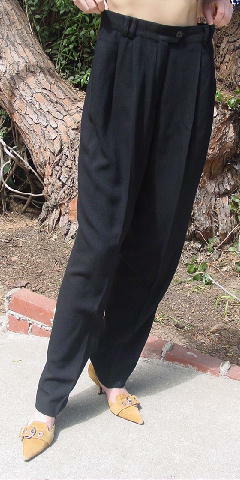 They have double belt loops and a one black button waist closure. 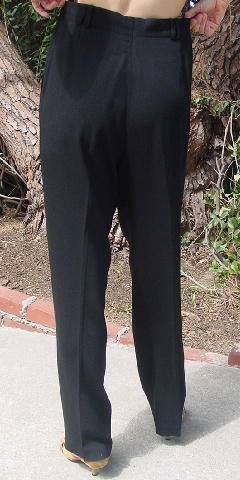 The front has four pleats and two diagonal slash pockets. The tag says 38, but they fit like an American size 12. There is an extra button on the fly.